The luxury rug market can be a confusing place to navigate. Specialist language on qualities and materials can be hard to decipher, and without the correct knowledge, telling apart a high and low quality rug by eye is almost impossible. Prices of rugs can vary hugely, and few people really understand what they are paying for. However, at Bazaar Velvet we are here to de-code this complex topic for our clients, so they can find luxury rugs of the perfect fit. 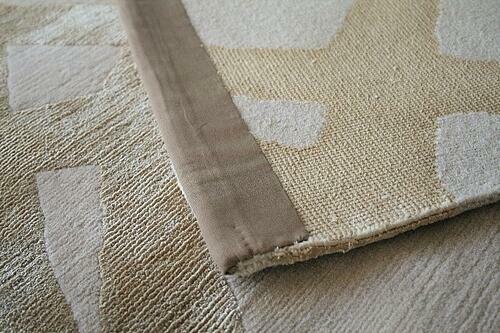 When it comes to rug construction, one of the biggest misconceptions is that all rugs labelled ‘Handmade’ are equal. It’s a loose term that’s often used to distract from an inferior product and doesn’t necessarily mean no machines have been used in production. The way a rug has been made will have a great effect on its appearance and how it wears with use, so it’s important to understand the difference between each. Here’s our breakdown of the different types of rug construction and how to identify them. Hand knotted luxury rugs epitomise premium quality, and are made using traditional methods dating back hundreds of years. Skilled artisans work on a wooden loom set up using cotton threads know as warps. They knot wool or silk yarns around each thread by hand, following each row with a cotton weft thread to keep the knots in place. 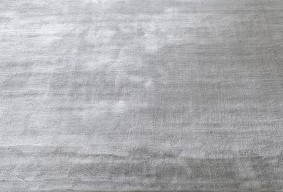 The rug then undergoes several stages of hand-finishing, including trimming, washing, binding and stretching. 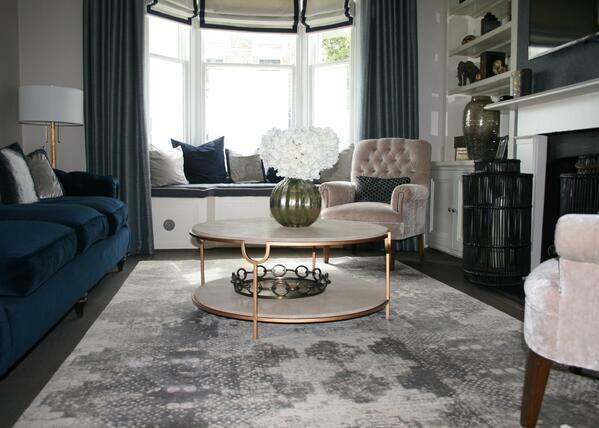 A 300x240cm rug can take over 6 months to complete and will contain over a million hand tied knots. 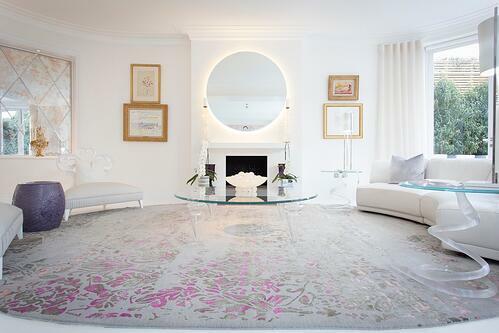 Hand Knotted rugs can be easily cleaned, and areas can even be rewoven if required. Go to one of the leading auction houses and you can find examples of hand knotted rugs that are over two hundred years old. There are many ways in which a hand knotted rug can be identified. Firstly, the design can be seen from the reverse side of the rug, as can the knots, which will all be slightly different in size and shape. Also, there will be no signs of glue and edges will be slightly irregular and bound by hand. This is the most obvious example of where the use of the title ‘Handmade’ is slightly dubious. 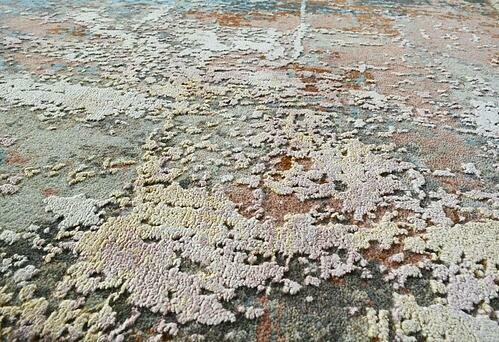 These rugs are in fact made by a hand-held machine called a tufting gun. It effectively injects fibres into a fabric backing, which will then be sealed by a type of glue or latex. The back of the rug will then be covered by a heavy-duty fabric such as jute or canvas, so this is an easy way to tell a Hand Tufted Rug apart from its counterparts. Essentially, the properties of this type of rug fall somewhere between a machine made and hand knotted rug. The process is much faster than hand knotting (usually around 2-3 months) but the finished product doesn’t have the same quality, character or longevity. Our Core Collection of luxury contemporary rugs come in a hand knotted quality as standard but can be created in a hand tufted quality on request. This type of rug is one consumers should be very wary of, as its outward appearance is very similar to a hand knotted rug, but it has many issues regarding wear. It is created on a manually powered loom, with levers pulling and pushing the fibres together. Unlike a hand tufted rug, these are not secured at the back but only held in place by the pressure of the other fibres. They are therefore very unstable, prone to stretching and wrinkling, and easily damaged by hoovers or even just everyday use. One of the easiest ways to identify a Hand Loomed rug is by checking for ‘grinning’. Folding the rug inwards will reveal loose white threading on the back of the rug. Also, from the front of the rug, V-shaped fibres can easily be pulled out by hand. For this type of rug, a computerised machine will work on a ‘power loom’ to inject material into a backing which is very insecure. The process takes only a matter of hours and will produce a completely uniform design. This is the fastest and most economical rug making method- most rugs you find in high street stores will be made this way. This type of rug can be identified by a grid of white threads on the back. Also, its overall appearance will be mechanical, with perfectly uniform edges, design and texture- lacking the character of other constructions. The longevity of a machine-made rug is extremely variable, depending mainly on its density and materials, but generally isn’t expected to last more than 10 years. The purpose of carding is to separate and clean wool fibres. Untreated wool is placed between two paddles with metal bristles (similar to a hairbrush) and pulled through them. Spinning wool yarn on a traditional spinning wheel rather than by machine creates yarn of slightly varying thicknesses. 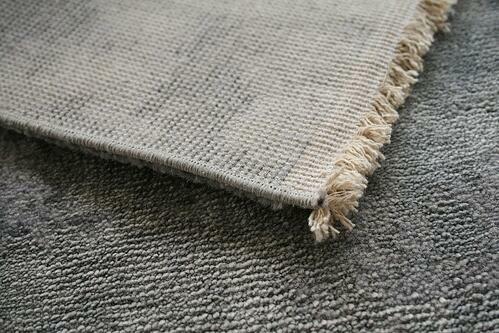 When knotted, this irregularity will be passed onto the rug itself giving a texture that is full of character. This is a process that is necessary when creating a rug with varying pile heights- often a high pile silk design on a low pile wool background. To begin with, the rug (which comes off the loom shaggy) is trimmed to just one pile height. Then the wool is cut to a lower level leaving the silk raised. This process is completed by skilled artisans who use small shears to effectively ‘carve’ out the silk details of the design. Find out more about what makes a hand knotted rugs so special at http://blog.bazaarvelvet.com/luxury-in-the-detail or view our beautiful Bohemia range for stunning examples of intricately hand carved luxury rugs. The ‘quality’ of a hand knotted rug often refers to its pile density or ‘knot count’. This is the number of knots found in a set area of the rug. It is measured differently according to the rugs country of origin, but essentially the same rules apply. For Nepalese rugs, knots are counted per liner foot. For example, in our popular ‘100 knot’ quality you will find 100 hand tied knots in a foot long row. Knot counts range from 60 knot to 200 knot. For Indian rugs, knots are counted per square inch. For example, in our popular ‘11/11 quality’ you will find 121 hand tied knots inside a 11inch by 11inch square. Qualities range from 5/5 to 16/16. 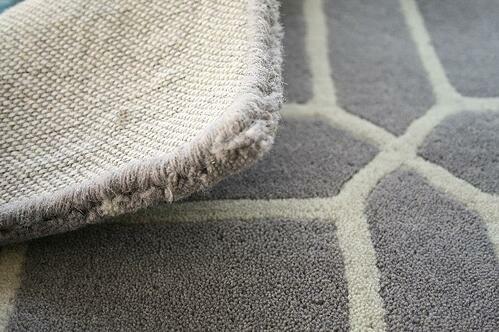 The knot count of a rug doesn’t so much affect its durability, but its scope for design. The higher the knot count the more detail can be achieved. A low knot count rug will be limited to a simple geometric design, as attempting tight curves or small details will result in jagged edges and pixilation. Although a rug with a higher knot count will appear finer, with a crisper definition and shorter pile, it will be more expensive due to the increased labour needed to tie more knots. Also, increase the knot count too much and a design can look too perfect and mechanical, losing its handmade charm. Wool is generally regarded as the benchmark material for luxury rug making. It is extremely durable, soft strong and warm. One of the greatest advantages of this fibre is its elasticity. This means the pile springs back into shape after being walked upon or weighed down by furniture. However, different types of wool vary in quality. New Zealand wool is generally well regarded, with producers attracted to its natural whiteness which makes it easier to dye. However, at Bazaar Velvet we prefer more more luxurious wools, such as Bikaner or Himalayan. This is because they are high in a natural oil called lanolin which makes the wool extremely soft and acts as a natural stain resistor. Genuine silk is derived from the cocoon of a silk worm. Generally, genuine silk is sourced from China which has a long history in manufacturing the fibre. Although natural silk is more delicate than wool (particularly when exposed to liquid) it is in fact much more stain resistant than imitation silk (see below). Nothing surpasses the luxury of a 100% silk rug, but for a high traffic area, a mainly wool rug with silk highlights is a more practical option, and the contrast between the matt and sheen of the two materials can be quite stunning. We use this combination in many of our collections, including our popular core range of luxury designer rugs. Acrylic, polyester and polypropylene are all common materials for inexpensive machine-made rugs. These synthetics are easy to care for and the fibre is generally quite strong, but their big downfall is their pile is very susceptible to crushing. Even after moderate foot traffic, they will quickly appear worn. Although some synthetics can give a similar appearance to wool, their dryness and artificial feel is apparent to the touch. Art silk is a common name given to the material Viscose (also known as Rayon). Viscose comes neither under the heading of synthetic or natural, but is instead categorised as a ‘regenerated’ fibre. This is because although it is created from the cellulose of plants, it is processed using chemicals. Tencel or lyocell for example, is a type of viscose that originates from wood pulp which is given a specific treatment that makes it stronger than many other forms of viscose. Bamboo Silk and Banana Silk are also types of viscose, created from the dried cellulose of the bamboo and banana plants. As far as durability is concerned, Art Silk should be approached with caution. 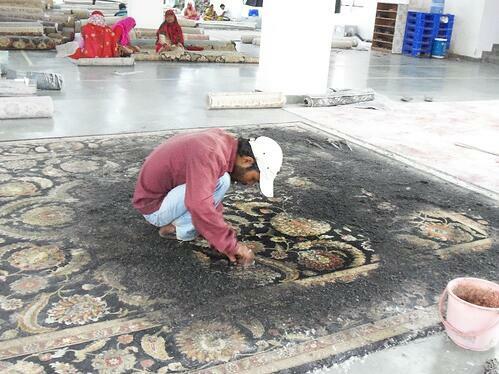 A rug made completely from this material is not suitable for high traffic areas, as it wears badly. Also, liquid stains can be very problematic. 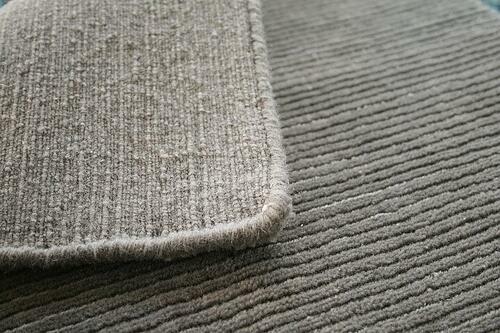 Even plain water can mark badly and cause damage to the structure of the rug itself. I hope this article provides a useful explanation of what separates a high-quality luxury rug and low-quality rug, and the signs to be aware of when making a purchase. There really are a wealth of options, so make sure you choose a luxury rug you love that will serve your needs for many years to come. 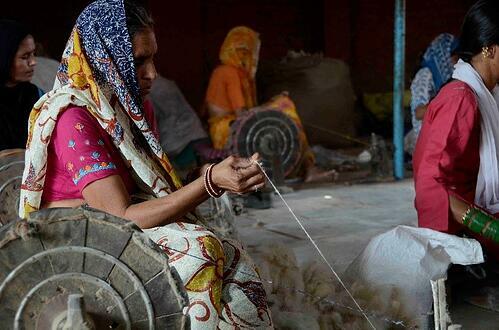 At Bazaar Velvet, all of our rugs are created to last a lifetime. We are committed to the traditional method of hand knotting and use only the best quality materials in our luxury rugs. Browse our collections now.